The Order of St Lazarus has been granted consultative status by the United Nations Economic and Social Council (ECOSOC). This will facilitate the Order of St Lazarus’s contributions to the work programs and objectives of the United Nations and allow the Order to play a role of technical expert, advisor and consultant to the governments and the Secretary. The United Nations Economic and Social Council (ECOSOC) is first of all a coordinating organ regulating the activities of 14 specialised UN agencies, 10 functional commissions and 5 regional commissions. ECOSOC also reviews the reports of the UN funds and programs and gives recommendation to the UN system and the states members. 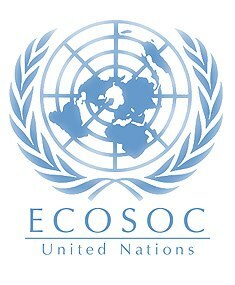 As described in the United Nations Charter, ECOSOC is responsible for promoting higher standards of living, full employment, economic and social progress; it also has to identify solutions to economic, social and health issues; it has to facilitate international culture and cooperation for education matters; it has to encourage the respect of universal human rights and fundamental freedoms. To carry out its mandate, ECOSOC consults with academics, business sector representatives and the 2100 accredited NGOs. An accredited NGO can participate to UN work programs and objectives. This provides opportunities to play a role of technical expert, advisor and consultant to the governments and the Secretary as well as participate to the work of the Council and its subsidiary bodies, through meeting attendance, and also oral interventions and written declarations regarding the items on their agenda. The NGO will also be invited to take part in international conferences called by the UN and to extraordinary sessions of the General Assembly.